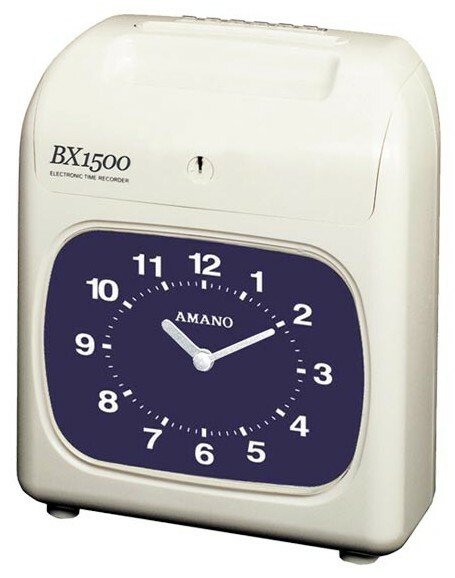 Currently available as a package including 200 payroll time cards and a 6 slot time card rack, the Amano BX-1500 time recorder was built with the aim of providing the most essential functions with the easiest operations. 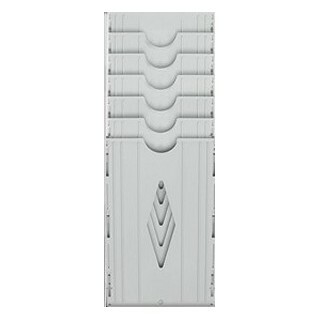 Simply choose a print column (1 to 6), insert your card and receive an accurate, reliable and clear time print. The more advanced Amano BX-1600 features automatic column changes and "*" mark printing for irregular recognition. Ideally suited for workplaces with less than 20 employees and one common work schedule. 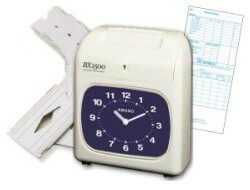 For workplaces with more than one work schedule we recommend the Seiko QR-395 calculating time clock.